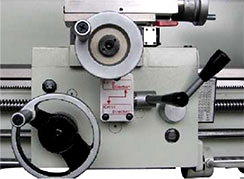 Manual Engine Lathes KC-1440 - KOAN CHO MACHINERY Co., Ltd. 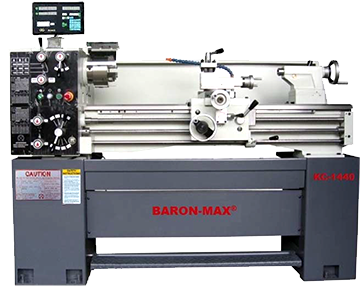 The BARONMAX Lathe is equipped with 3HP motor that fully geared heavy-duty headstock giving you a 9 spindle speeds. All gears are hardened and ground and run in a continual bath of oil. 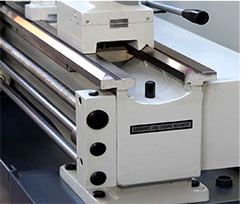 The spindle is made of forged, quenched and tempered steel, with a case hardened spindle nose and mounted on precision taper roller bearings. 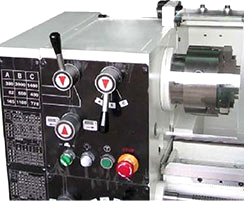 The easy-to-operate control panel is designed for efficiency. 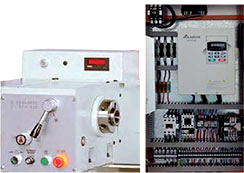 Controls are designed for easy operation to ensure maximum productivity. Easy-to-read dual inch and metric dials, and a 4-way tool post are standard.